Logistical requirements are the compass every company must be oriented with in order to set up an efficient business and to be in step with the times, although it may be necessary to deal with unexpected occurrences. Unexpected peaks of work, seasonal demand increase, unexpected truck breakdowns, difficulty in finding the ideal partner for tough handling requirements or highly specific requests: these are just some of the common events that companies need to come to terms with, while still managing the daily workflow. The Yale Rental programme is currently only available in France. 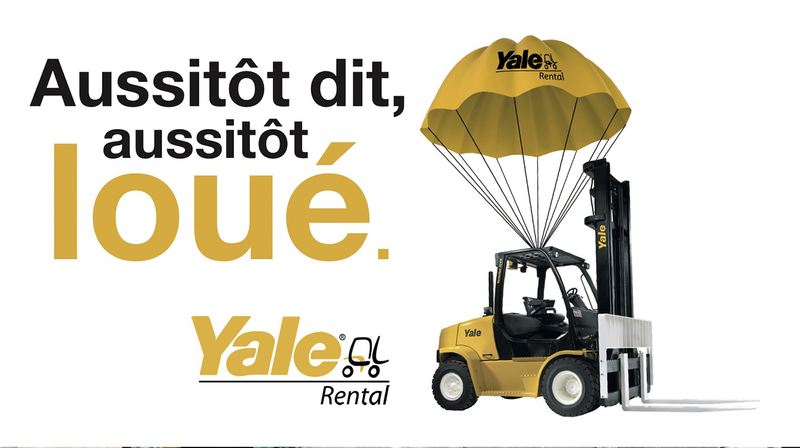 To contact the nearest dealer and to take advantage of customised solutions for materials handling, call 0809 101 680 or visit www.yalerental.fr. This entry was posted in Dealers, Yale Rental Programme and tagged Affordability, Dealers, Dependability, Ergonomics, France, Materials Handling, Yale, Yale Europe Materials Handling, Yale rental programme. Bookmark the permalink.